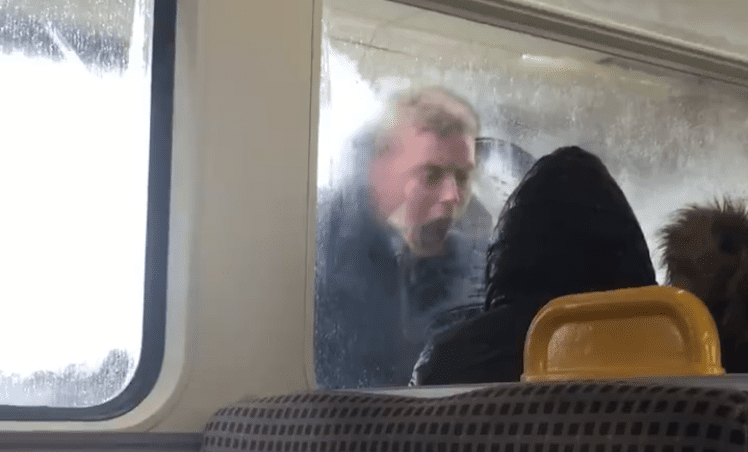 A video has emerged of a youth aggressively threatening a passenger on the Tyne and Wear Metro. The footage, taken over the weekend, shows him losing it with a passenger. The two-minute exchange was filmed by a fellow passenger. The man filming believes the two men knew each other. He repeatedly screams ‘I’m gonna punch ya. Stop laughing’ before banging on the train’s window. His acquaintances, who randomly start spitting at the passengers, eventually walk off, with the angry man.